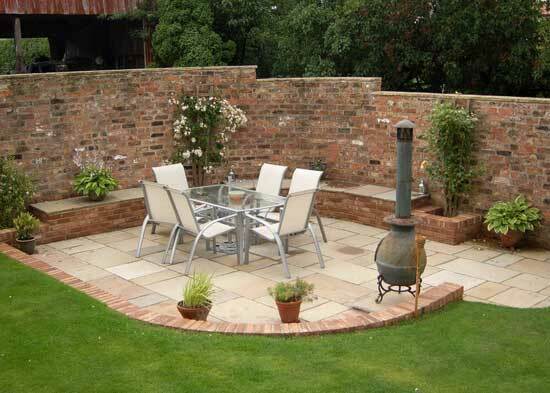 Reclaimed brick wall constructed from hand made bricks and York stone copings. 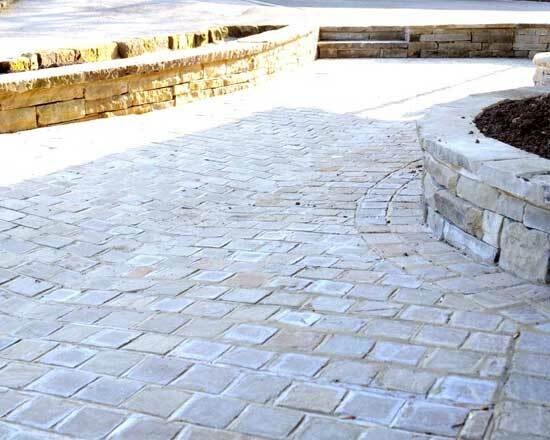 Sunken paved area in natural stone paving retained with reclaimed bricks and incorporating a brick seating finished with York stone coping in Northallerton. 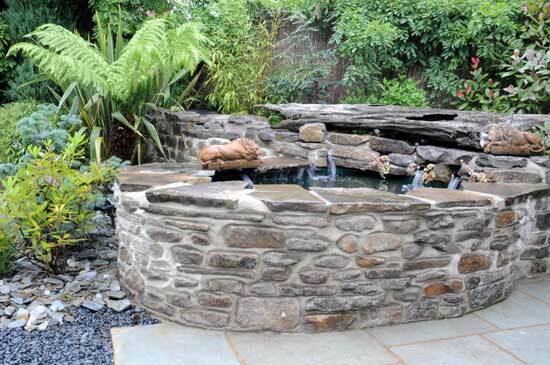 Raised water feature built from natural random walling stone Yarm. 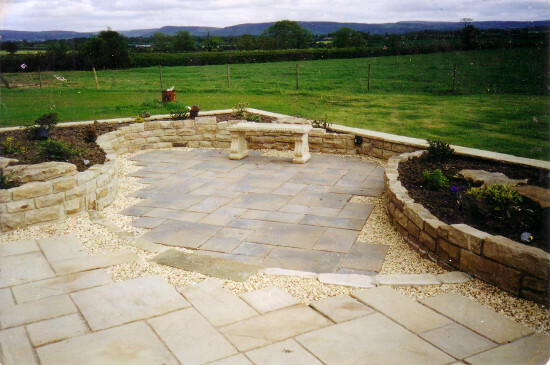 Driveway in natural stone sets retailed with natural walling stone Great Broughton. Split level paved area in Marshalls Heritage paving retained with chopped natural walling stone Appleton Wiske, Northallerton. 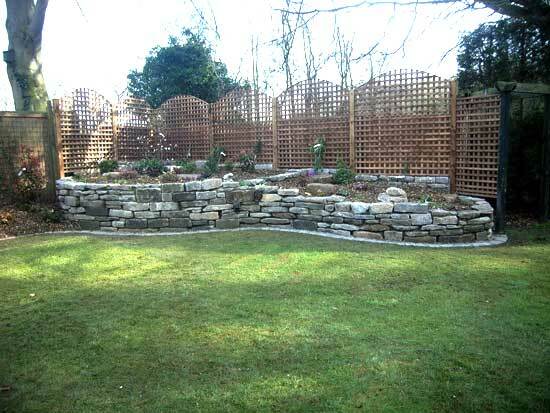 Raised split level planted boarder retained with a natural dry stone wall, screened with trellis Stokesley.